Introduction to Needle Felting Workshop to Benefit the Birds! Explore your creative side! 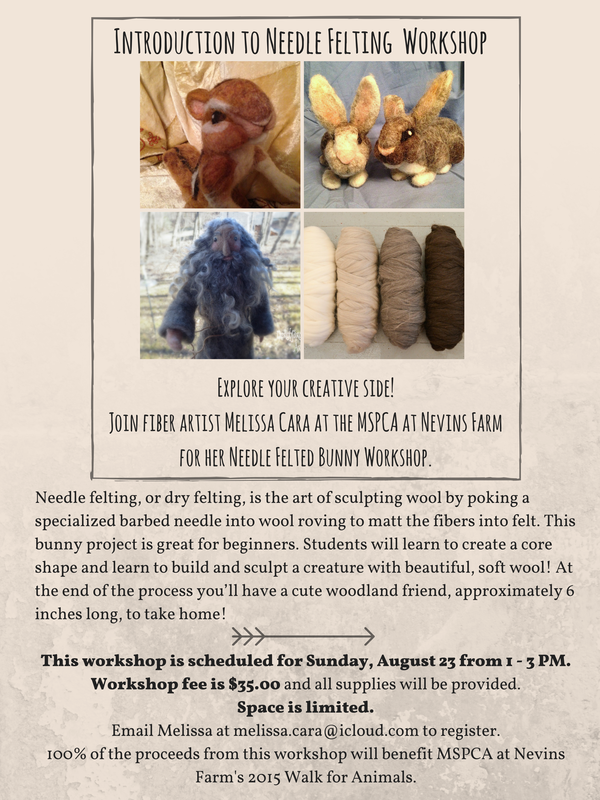 Join fiber artist Melissa Cara, of Northfarthing Arts, at the MSPCA at Nevins Farm for her Needle Felted Bunny Workshop. Needle felting, or dry felting, is the art of sculpting wool by poking a specialized barbed needle into wool roving to matt the fibers into felt. This bunny project is great for beginners. Students will learn to create a core shape and learn to build and sculpt a creature with beautiful, soft wool! At the end of the process you’ll have a cute woodland friend, approximately 6 inches long, to take home! This workshop is scheduled for Sunday, August 23 from 1 – 3 PM. Workshop fee is $35.00 and all supplies will be provided. Space is limited. Email Melissa at melissa.cara@icloud.com to register. 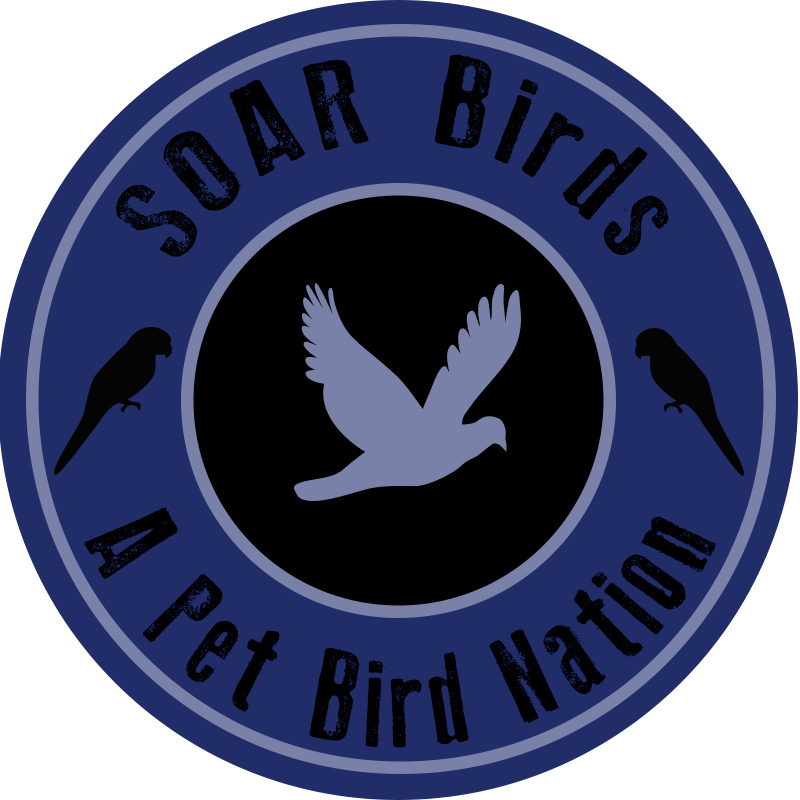 100% of the proceeds from this workshop will benefit Team On a Wing and a Prayer for the MSPCA at Nevins Farm’s 2015 Walk for Animals.